At Smart Performance Solutions we offer full human resource consultancy services with a fresh and practical approach. We specialise in HR strategy, organisational design, learning solutions, training design, development and delivery, workshop design and facilitation, management development, psychometric testing, recruitment, team building, Train the Trainer, reward and recognition programs, performance management processes, downsizing design and delivery… and much more. 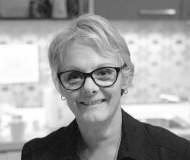 Noelene works with community and not-for-profit organisations as well as corporate clients. Past and present clients include: Myer Stores, Reject Shop, Sony Australia, Target Australia, Dennis Family Corporation, Harris Scarfe, Bendon Lingerie, Coles Myer Limited, Vision Australia, many Community Houses, The Ashley Centre, Dahlsens Building Centres and Credo. I’ve been using TetraMap for well over a decade and it never lets me down. It is as valid and reliable as any other psychometric testing tool I have worked with but its beauty is in its simplicity and fun. Unlike other personality tools that are designed and delivered with a left-brain focus, this tool practises what it preaches – it uses the whole of the brain in its delivery and therefore is applicable to every audience from senior managers to young children. I love its broad application to people and problems, the fun it creates, its lasting affect and the relationships it helps to build. You were able to help us identify our strengths as a team in the workplace as well as furnish us with a roadmap for continued success. Any project would benefit by taking a professional journey with you and the TetraMap process. What an eye opener!